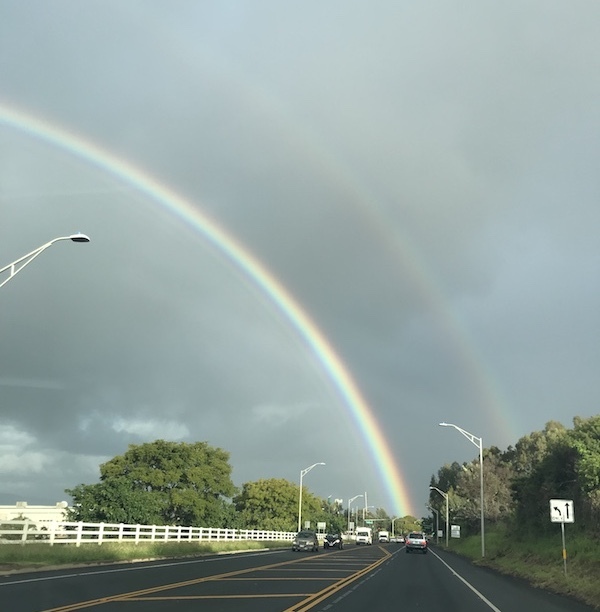 This morning, as I was driving my daughter to school, there was a particularly spectacular rainbow in front of us. Since I was driving the car, in the rain, in traffic, I couldn’t reach for my phone to snap a picture. But I thought, “Once I drop her off, I will be able to pull over and get a great photo." The rainbow was so clear. It was a full one, from end to end. But just as I pulled into the carpool line, the clouds opened up... and water just dumped out of the sky. The rainbow was gone. I needed to get home to start prepping tomorrow’s dinner. I am having a very small Thanksgiving this year, but that’s what I said last year. I ended up waiting until the last minute and I was sweating bullets trying to get it all done. So this year, I promised myself that I would get a head start on it.